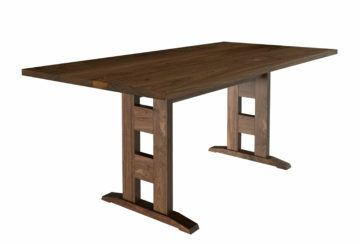 The Baron Table. Cherry with wenge and maple inlay. 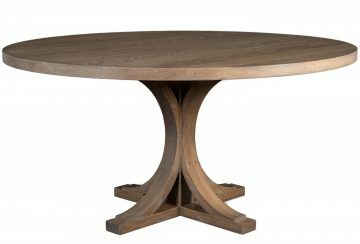 Baron Table, rendered in oak, no inlay. 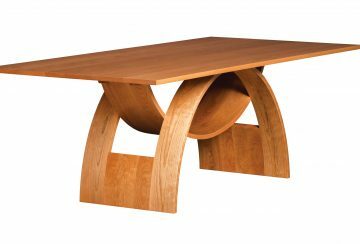 Baron Table and New Baron Chairs, rendered in cherry. 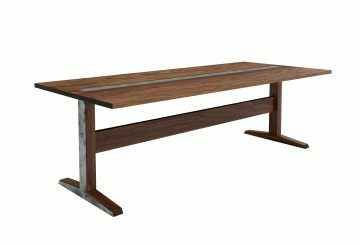 The Baron Table boasts strength, longevity and sophistication. 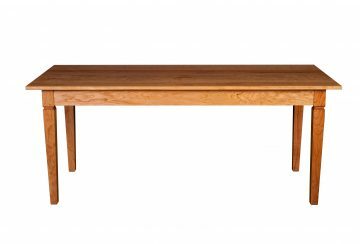 Rooted in the Arts & Crafts style, the Baron Table is truly timeless. Inlays at corners optional. Comfortable seating for 6-8. You know how sometimes a piece of furniture changes your daily life? That's what this table has done for us. It's so perfect. 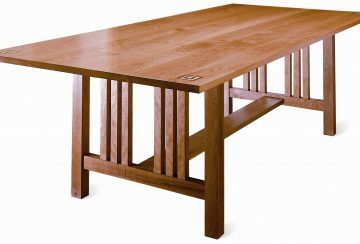 Our dining tables accommodate apartment living to grand, formal dining & everything in between. 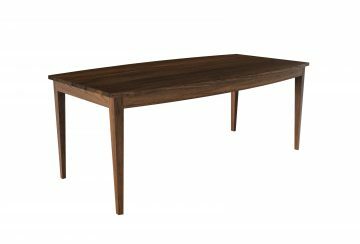 Explore and find a dining table that suits your decor and lifestyle.